Clever recruiters need intelligent features. 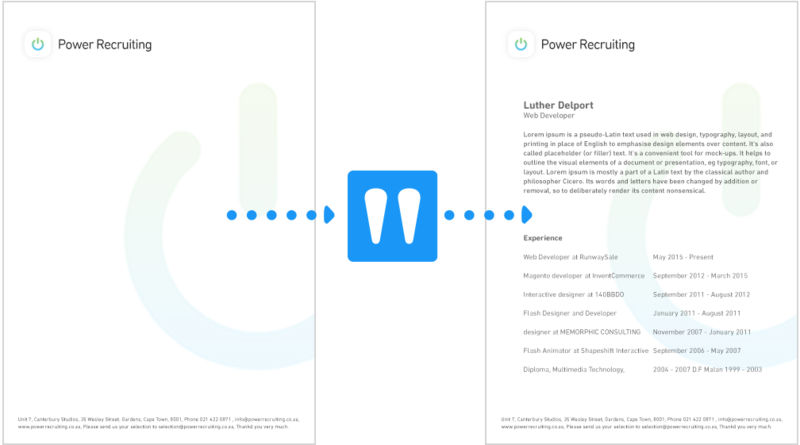 Ditto Hire is shaped around your workflow to make your recruitment smarter, faster and more efficient. Ditto's intelligent Dashboard shows the essence of your company in one central place! Your intelligent dashboard welcomes you every day with an up-to-date summary of what is important. See appointments for the day, set up reminders, catch jobs that require your attention, see new applicants that applied for jobs and much more! 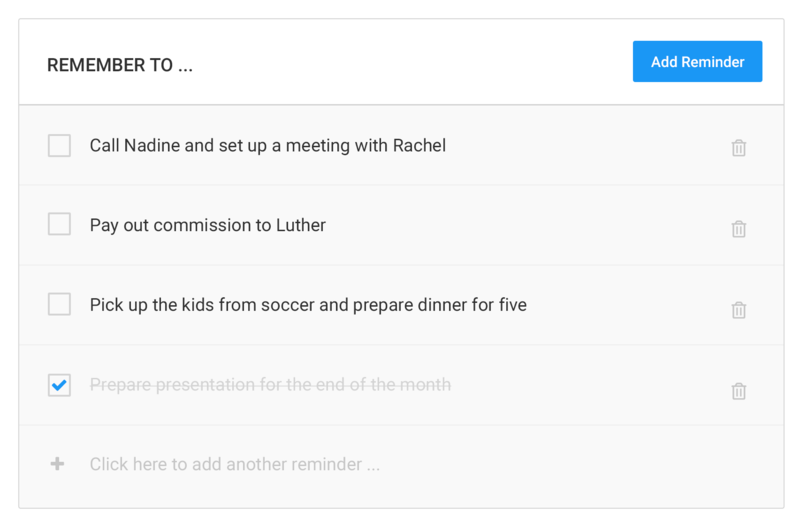 The built-in calendar and reminders help you monitor all the little things in your life that can't go missing. Organise your workday straight from your Smart Dashboard or keep track of new clients with our built-in new business tool. One tool for your daily communication. 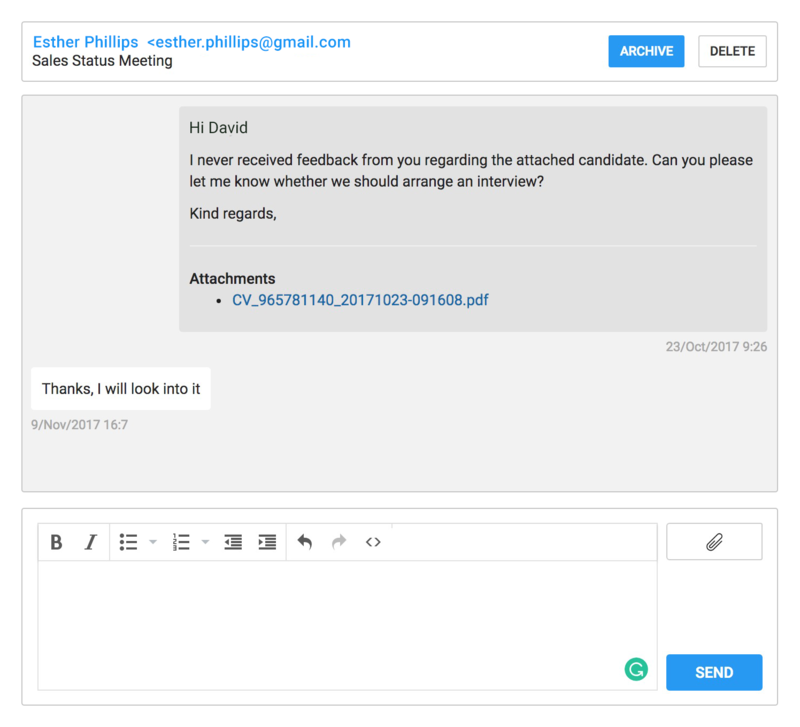 Use the built-in messaging system to contact candidates, clients and to collaborate with your team members. The intuitive interface feels just like a messenger and recipients outside the system will receive emails to reply to. No need to use any other app for your daily communication at work. Get in touch and request a full list of all features Ditto Hire has to offer! Search your entire database by combining relevant keywords, including all files saved on the built-in server and file-manager. 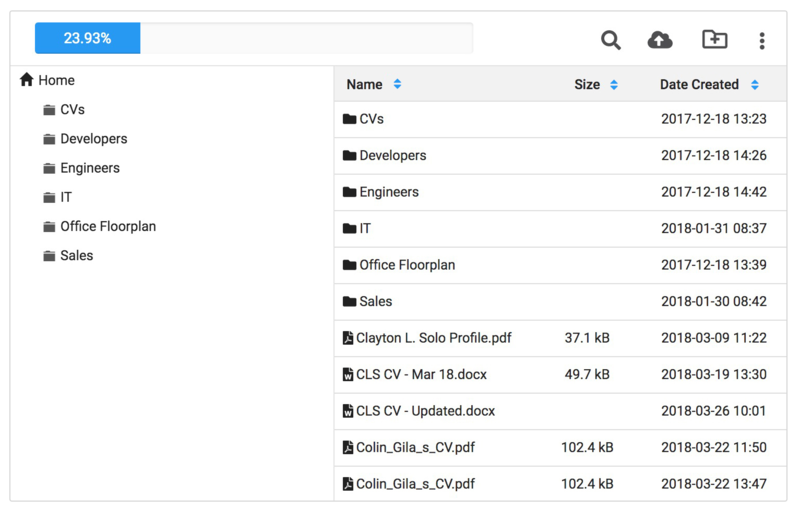 Maximise your efficiency by searching directly within CVs saved as Word or PDF files and find everything else in your database literally in a blink of an eye. Every Ditto Hire account comes with 1GB of free storage on our secure high-speed servers. Plenty of space for your files and CVs. Backups are being run periodically to ensure your data stays safe and accessible. You can upgrade your plan anytime to up to 200GB per user! Our integrated new business tool helps you focus on actions that close deals. Move potential clients through stages of the acquisition process, set reminders to follow up, make opportunities visible to your supervisor or team and add successfully acquired clients to your database straight away. Win clients with your performance! Access KPIs with just one click and showcase relevant numbers, like average time to hire, placements made – in total, per industry or per skill – and display your experience in different industries. 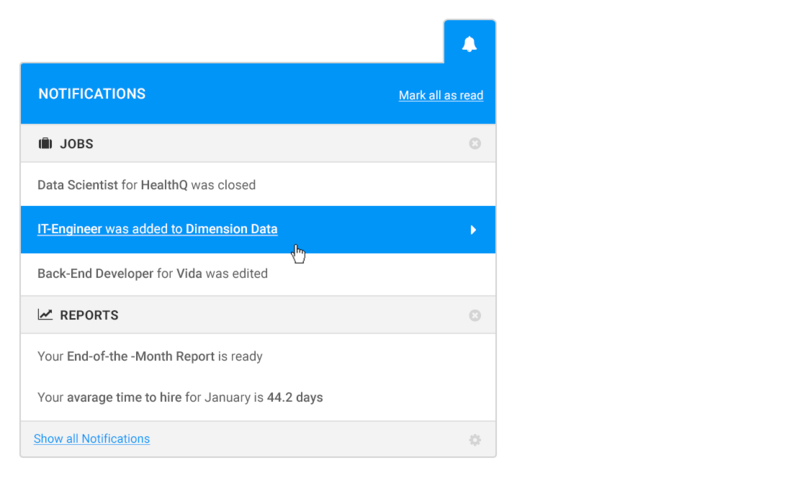 Show reports for the past year or within a predefined period. No pay-per-feature at Ditto: Every user gets the same features for the same fair and transparent fee. 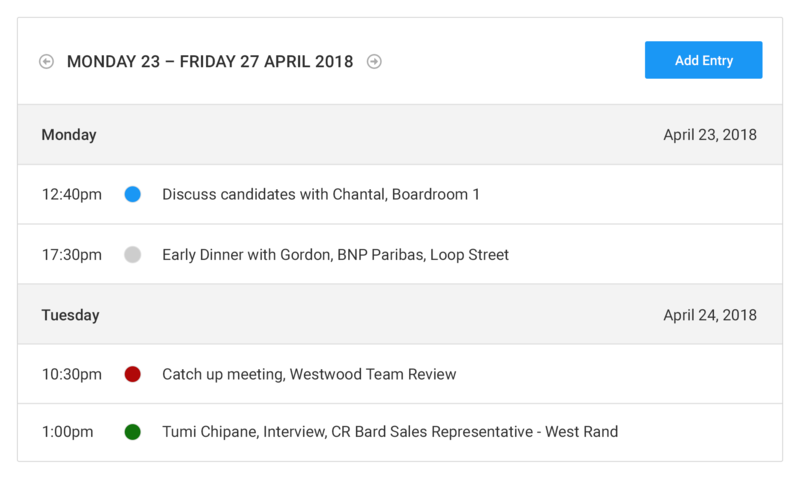 Notifications are always visible in the top right corner of the interface and keep you updated on everything important, such as deadlines, messages of clients, changes of job statuses, new messages, actions of team members and more. No chance to miss anything important ever again! Search, filter and message clients in your client database straight from the system. See the history of proposed candidates per job as well as custom notes that will remind you of reasons for a successful or unsuccessful hire. Prepare yourself for the next meeting and maintain a profitable relationship with your clients. Ditto Hire enables you to connect to all major South African portals as well as selected international ones. Use the free services or connect to your premium accounts to publish jobs automatically and measure the performance of active and closed jobs to find out what ads have been most successful. Save resources, time and money by implementing the Ditto Hire widget on your company’s website. 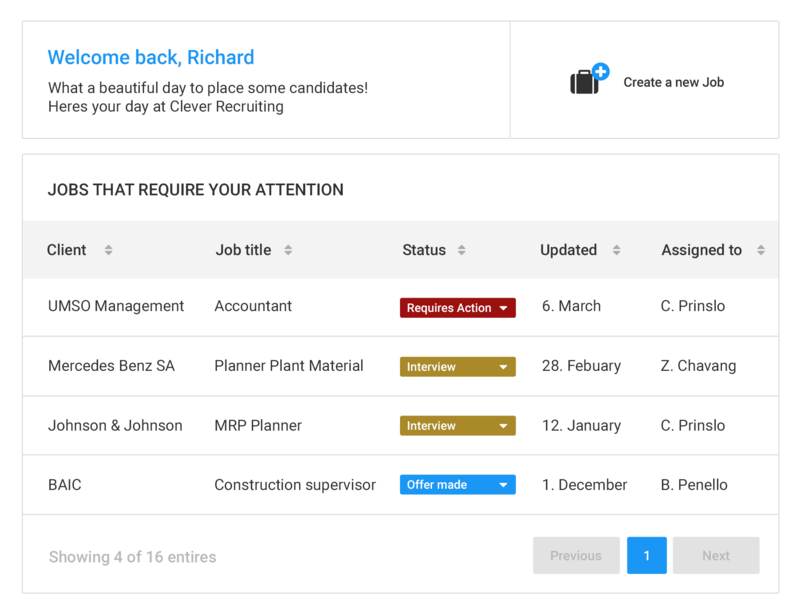 Once enabled, all your active jobs will automatically be displayed on your vacancies page! No need to manually keep the website up to date – all changes you make in Ditto Hire will automatically update on your website. The best way to get a comprehensive overview of Ditto Hire and it's features is to schedule a free online demonstration! Invite candidates straight from the system to let them create or complete their own profile online and save yourself the time and effort of doing it manually. 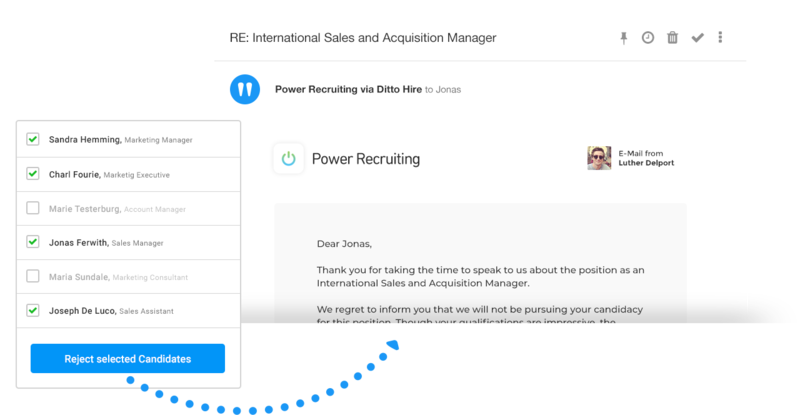 Simply submit the candidate's email address and Ditto Hire will handle further on-boarding with the potential candidate directly. 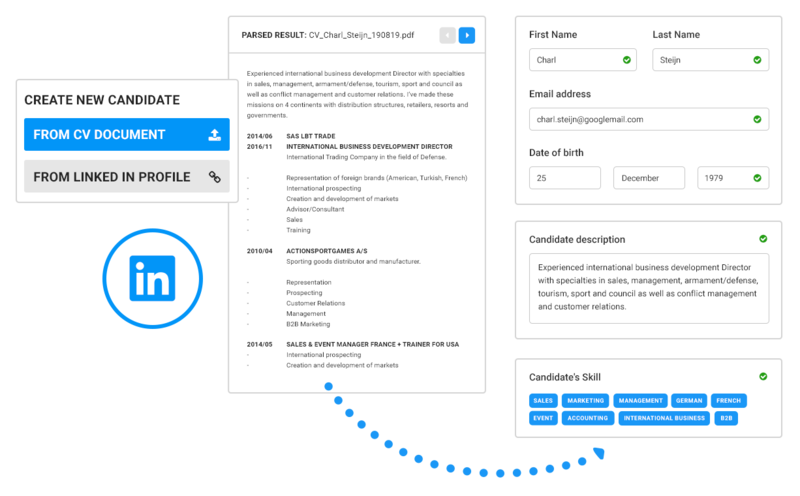 Auto-generate candidate profiles by uploading CVs and combine it with exported LinkedIn profiles. Ditto categorises all the data for you into the correct fields. Anything missing? No problem! 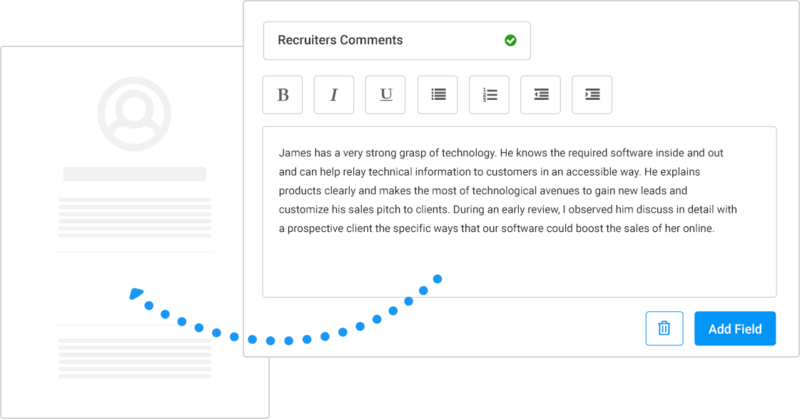 Simply, drag and drop content from the CV into the form fields using our clever split-screen view. 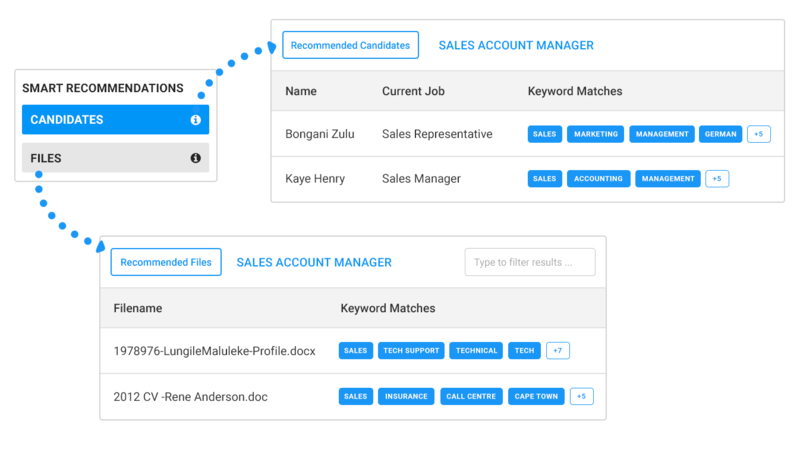 Ditto Hire matches candidates in your database automatically for you! Based on the keywords you add to jobs, you will receive recommendations of candidates in the system and CVs on the file server. We immediately screen your database and compare the content to the requirements of active jobs. Send the CVs of your shortlisted candidates straight from Ditto Hire with just one click. Your clients will receive all the relevant information they require to make an informed decision and provide you with feedback. 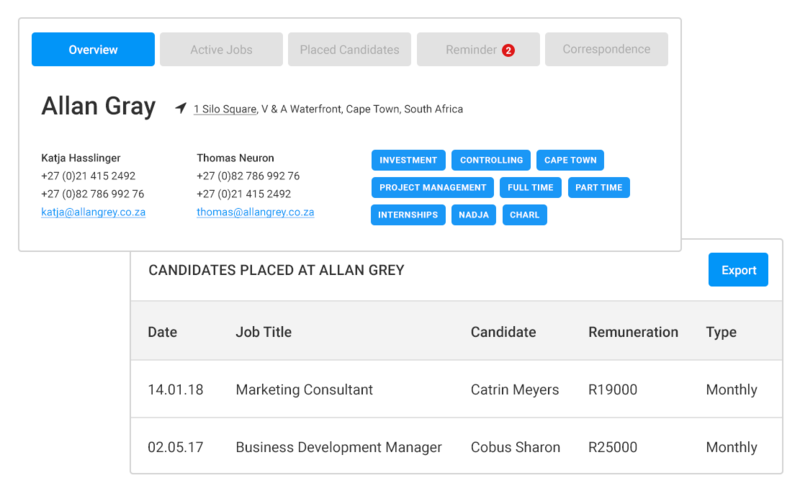 Add as many custom fields as you want to your candidate profiles and display specific or extraordinary information that is not part of the candidate's registration process. You can structure the heading and body of the custom fields to suit your personal or your client's preference. This is just a fraction of what Ditto Hire can do. Get in touch and request a full list of all features. You are in control of what candidate information you want to show on your CVs. Keep certain items confidential such as names and contact information to ensure objective feedback from your client. You can also remove whole sections to keep CVs short and to the point. 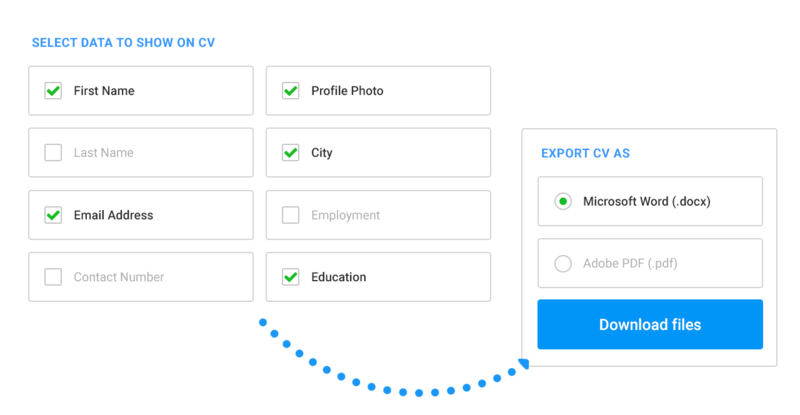 Ditto Hire provides you with a fully customisable template so that you can export and download CVs from the system perfectly styled and in accordance with your corporate design. Ditto Hire branding will not be shown on your CVs, so you can forward them straight to your clients. 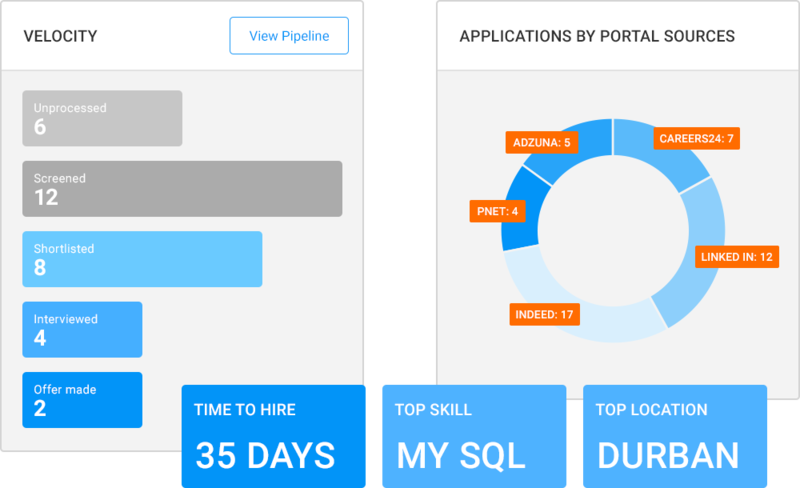 Find suitable candidates in your database faster than ever. Find candidates in no time. Our advanced search scans even bigger databases in seconds and gives you full control over the results; profound options and filters enable you to search for almost everything – from skills to industries, to education, to age, and much more. 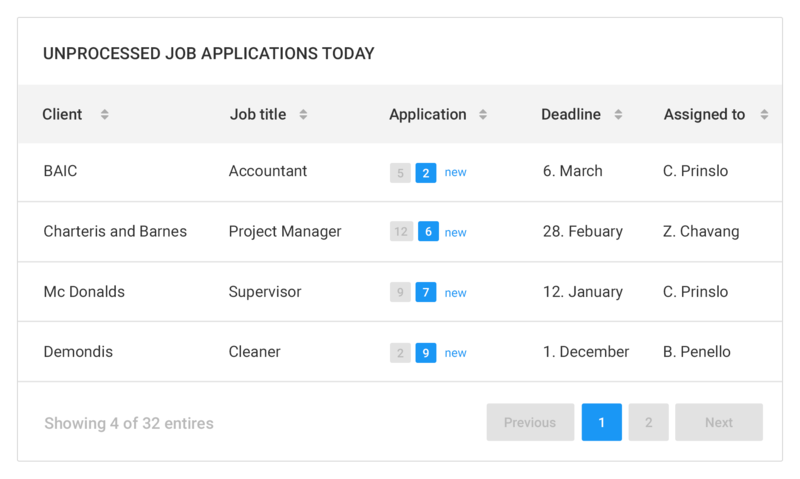 Create individual questionnaires and add them to jobs to let potential candidates answer your questions right in the application process. You can choose from a variety of elements when creating questionnaires, such as radio buttons, drop-downs, checkboxes and many more. 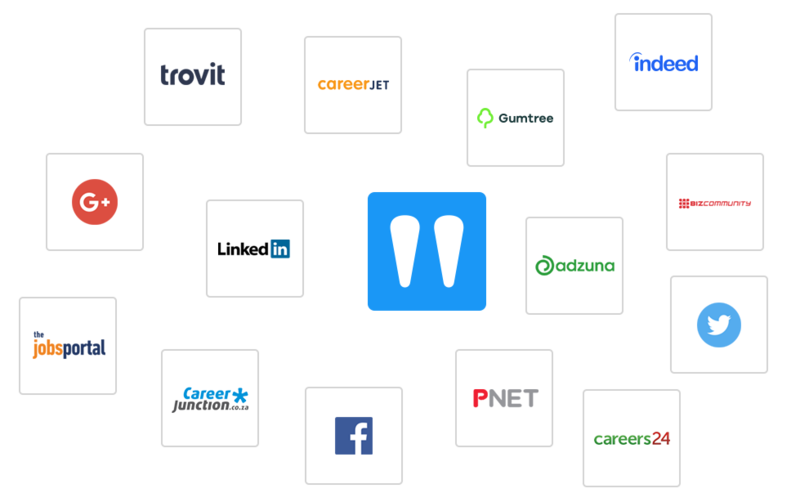 Ditto Hire is much more than just another applicant tracking system. 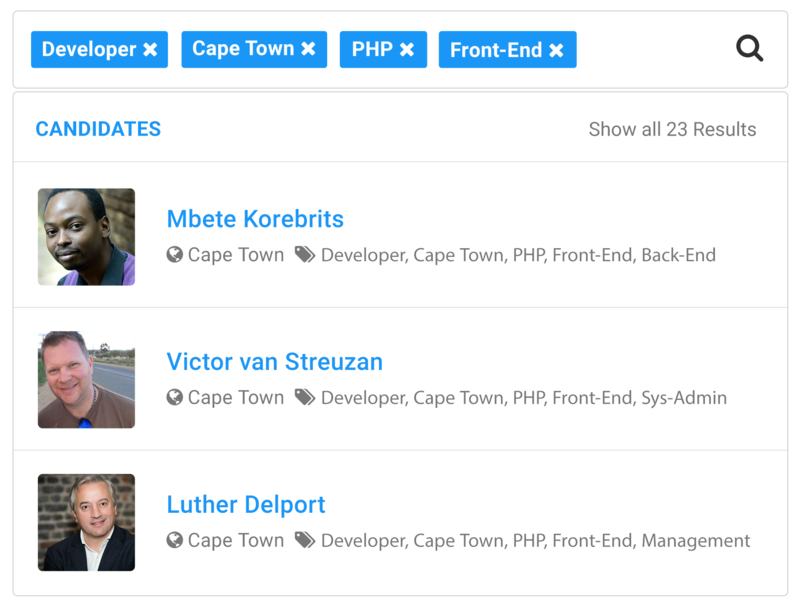 Categorise candidates in your database into pools, like 'sales' or 'engineering', and find them even faster the next time you need them. Choose a colour, an abbreviation and a name for your pool and start adding candidates! Your pools will grow with your database and help you stay on top of things. Never spend time on unsuitable applicants again. Speed up the process by rejecting multiple applicants with a custom message at once without having to message everyone individually. Ditto Hire automatically inserts first and surname to address every recipient personally. One job, several positions? No problem. 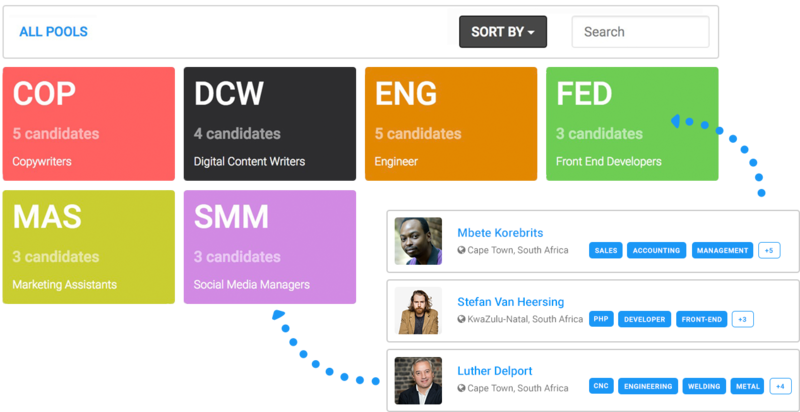 With Ditto Hire you can place multiple candidates on a single job. After each placement, you can choose if you want to close the job or keep adding more and more candidates to the position. 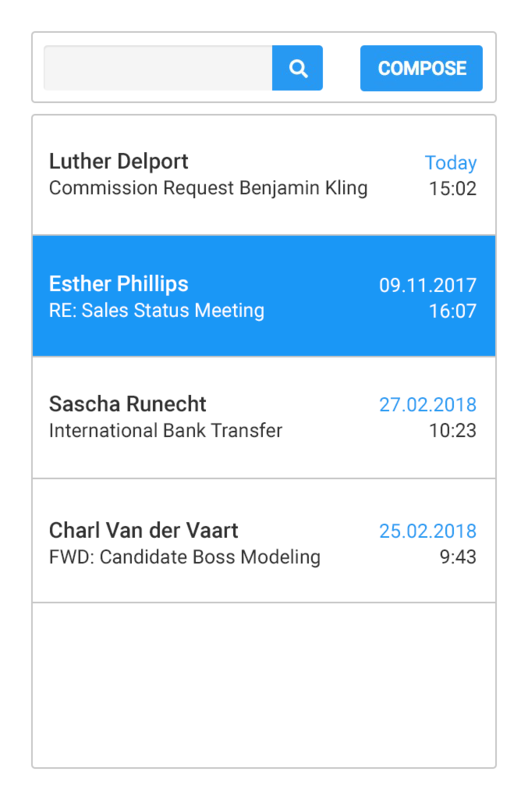 Make use of the integrated reminders tool to set yourself deadlines of when to follow up with placed candidates whether it be after probation period or at the end of their employment contract and never lose touch of your placed candidates again. Get notified when employees or team members request commissions and approve them with just a few clicks. 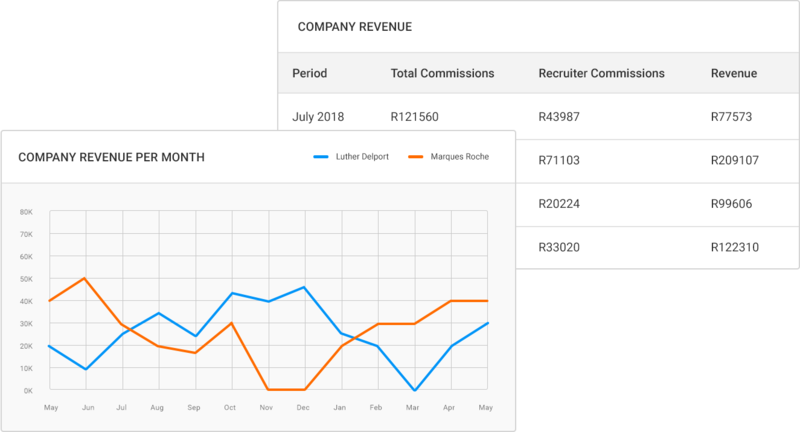 The system even enables you to place multiple commission requests on a single placement in case the commissions need to be split amongst team members. Get a comprehensive financial overview of your performance! 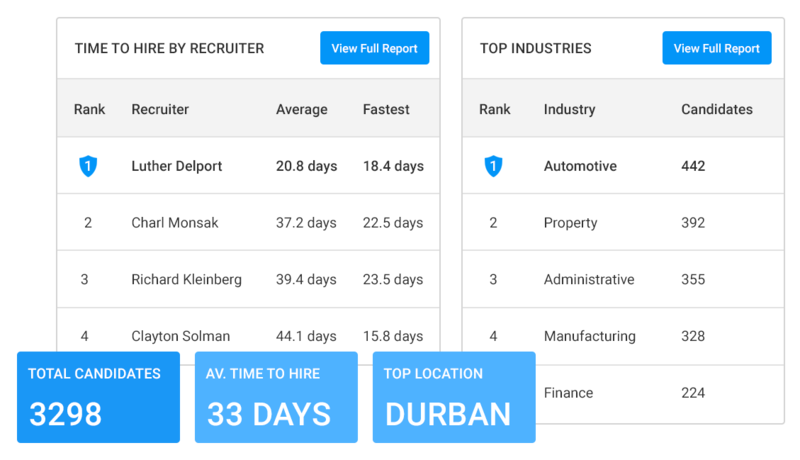 Access KPIs with just one click, like the average time to hire, jobs closed per recruiter, average revenue per recruiter and more. 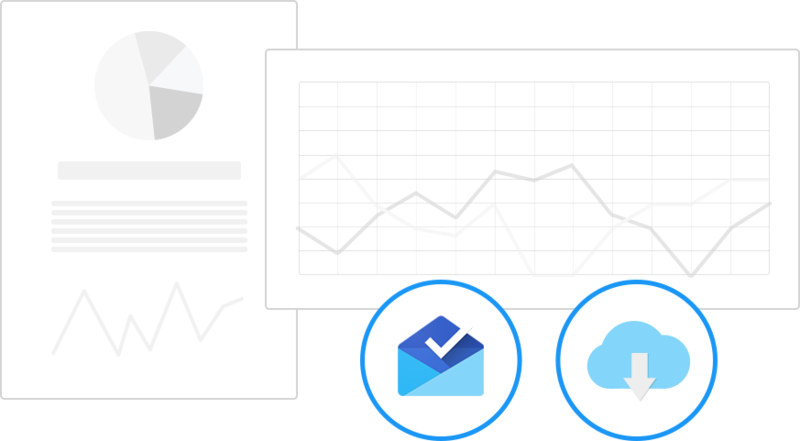 Measure jobs’ performance by viewing real-time analytics. Analyse everything from return of invest on various premium job portals, candidate sources, candidate types, overall job performance or a full detailed list of all activities completed on the specific vacancy. Let us show you how you can source, manage, market and place more qualified candidates in less time. Delve deeper into candidate demographics by using the candidate report tool. Ensure your candidate database is strong and healthy by identifying trends in age, gender, employment equity status, and candidate sources. Set targets and work towards a stronger candidate database. Almost every report in the system is available for export. Download and save them locally to your hard drive, prepare yourself for end-of-the-month meetings and forward files directly via email. Ditto Hire enables you to keep track of your performance in every aspect of your business. Take your recruitment to the next level!  Sent! Thanks for your message! We will get back to you shortly. Sorry, something went wrong while submitting the form. Please try again or contact us directly.